Special Introductory Offer! All first time buyers receive a $10 discount on their order by entering ‘FirstTimeBuyer’ in the coupon code at checkout. 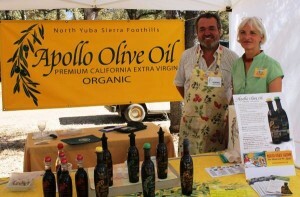 Apollo Olive Oils are among the few in California that are certified both organic and extra virgin. 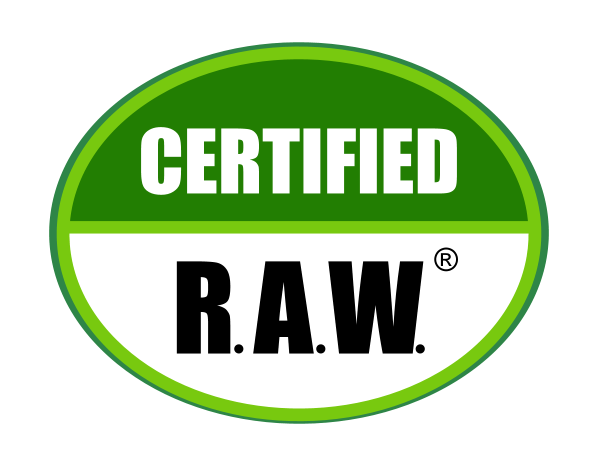 They are raw, unadulterated, and 100% cold-pressed on the vacuum mill designed in Tuscany to preserve the highest levels of flavor, nutrients, and anti-oxidants. In fact, our award-winning oils average three times the polyphenols of typical extra virgin olive oils. 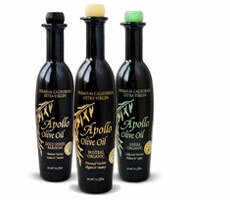 Apollo Olive Oil is a small, family-run business located in Northern California. Our pride is in producing flavorful and healthy gourmet olive oils in the finest tradition. We tend our trees with organic, sustainable methods, harvest by hand at optimum ripeness, and exercise great care in milling and blending. Since Apollo Olive Oil started 14 years ago, our oils have won 32 gold medals, 23 silver medals, 7 best in class, and 6 best in show. We have been chosen one of the top 10 olive oil producers in the world, the best organic olive oil in the US, and the best olive oil on the internet. We are proud to offer you the healthiest gourmet organic extra virgin olive oil available, made entirely in California. Best olive oil I’ve ever tasted – and that’s saying something because I’ve tasted a whole lot. This oil is green, spicy, pungent and invigorating. Be sure to pick up the Sierra one. I tried the Mistral as well, but Sierra is the one to go for. Worth every cent. Appreciate it straight, on its own, before you decide what else you might do with it. Using Apollo Olive Oil is like starting with a great wine. It invites you to organize the whole meal around it. It will never be just an ingredient. Its freshness, its complexity and its aromas–what aromas!– take recipes to a different, unexpected level. I found you through an internet search – you were the only website that focused on the key ingredients of olive oil for health. I went to many sites and not one focused as well as you on antioxidants, cold pressed, unfiltered, etc. You were singing my song! I recently learned that most olive oil in the US is not true olive oil. I was completely shocked by this, and began wondering what I was actually consuming all these years when I purchased what I thought was “olive oil”. I made the decision to never purchase store-bought olive oil again, and began researching where I could buy some authentic organic extra virgin olive oil. After a lot of consideration, I chose to purchase the Mistral Organic olive oil from your company. I cannot tell you how pleased I am with my purchase! I am pretty sure, after tasting your product, that I have never had “real” olive oil before. It is very tasty – I want to put it on everything! Thank you for making a wonderful (and authentic!!) product – I will definitely be ordering from you again! I had the pleasure of learning a good deal about olive oil during a bike trip through Puglia, Italy this past fall. On my return home, I tried a good number of artisanal olive oils before finding yours. Your olive oil is delicious. Real extra virgin olive oil is a flavorful, fresh and natural raw food. It is one of the main reasons the Mediterranean diet is so good for you.